Sorry. Here is the link for Pigram news. 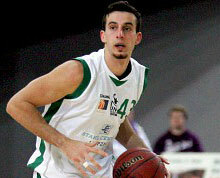 The first foreign player in the history of basketball in the city of Ravenna is Adam Michael Sollazzo. The 6’6 American guard, born on April 24, 1990, in Tampa Bay, Florida, signed the contract with Basket Ravenna Piero Manetti few minutes ago. Armwood High School retires Adam Sollazzo’s jersey. Should Murry Bartow be fired?